Arguindegui Oil Company’s strength is rooted in the principles established by its founder, the late Peter Arguindegui Sr. The leadership team has reached its third generation of Arguindeguis. Holding true to the values established by each preceding leadership team, the current leadership under the direction of CEO Alfonso Arguindegui and Carlos Arguindegui Jr. is steadily growing the family business into the strongest and most respected fuels, lubricants, and chemicals company in the state of Texas. Founder of Arguindegui Oil and Patriarch of the Arguindegui Family. 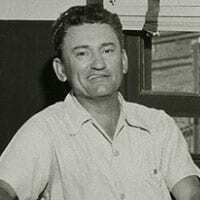 The Company was founded in October 1942, when Peter R. Arguindegui, Sr. was awarded the Continental Oil Company Commission Agency to serve Laredo, Texas and the surrounding area. Peter, Sr. was experienced in the functions of a Commission Agent, having already served as manager of the local Mobil Agency for twenty years. He, together with the help of his wife, Marina Arguindegui, and a few employees, quickly gained the reputation of a strong work ethic and honest dealing. Although it was wartime, the Company began to prosper. The late Peter Arguindegui Jr. joined his father’s company soon after completing his tour of duty in U.S. Military. Peter, a 1953 graduate of Texas A&M University, brought a new energy and a savvy business sense to Arguindegui Oil. He quickly moved the company to new heights with a steady growth plan and a vision for the future. Under his leadership, the company grew in volume, profits, and stakeholder value. He recently stepped down as President and CEO, opening the door to the next generation of Arguindegui leadership. Peter Arguindegui has served his community in a vast array of capacities. He was president of the Laredo Jaycees, Kiwanis Club, Laredo Country Club, and the Border Olympics Inc.. He has also portrayed George Washington in Laredo’s most honored celebration, The Washington’s Birthday Celebration Association. 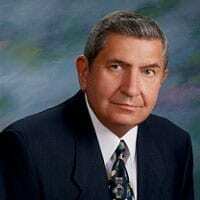 Mr. Arguindegui served for 16 years on the Laredo City Council, served on the boards of the Laredo National Bank, Union National Bank, Mercy Hospital and on the Conoco National Advisory Council. Mr Arguindegui served AOC Holding Company as Chairman Emeritus from 2012 to 2014. Mr. Peter, as he was affectionately known, passed away in 2014. His legacy lives on through his children and many philanthropic endowments. Carlos Arguindegui joined AOC in 1960 after a short stint with Anderson Clayton in their Mexico City operations. Carlos graduated from Texas A&M University in 1955 and then joined the United States Army. After completing his military service, and his tenure at Anderson Clayton, Carlos returned to Laredo and joined a rapidly growing Arguindegui enterprise. With his wealth of knowledge and expertise in sales and marketing, Arguindegui Oil continued to rapidly expand its market share. Carlos served as Executive Vice President and under his leadership the company’s wholesale fuels, lubricants, and chemicals division became the premier distributor of Conoco lubricants in South Texas. He became a respected member of the ConocoPhillips Lubricants National Distributor Advisory Board, serving from 2001-2004. Carlos was an active member or the Noon Lions Club, St. Augustine Parent Teacher Association and a member of the Laredo Jaycees. Carlos Arguindegui Sr. recently stepped down from his role as Executive Vice President, though he continues to advise the family enterprise. Known to his friends and colleagues as Mr. Charlie, he is enjoying his time with friends and family, especially his grandchildren. Mr. Alfonso Arguindegui currently serves as the Chairman and CEO of AOC Holding Company, overseeing all divisions under the AOC Holding Company Inc. umbrella. 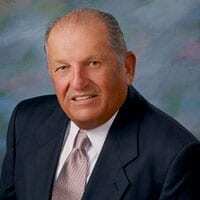 Alfonso began his career as the head of the Retail Convenience Store Division upon completing his education in 1988. He became Chairman / CEO January 1, 2010, succeeding the company’s late Chairman Emeritus, Peter Arguindegui Jr.
A product of Laredo’s United High School, Alfonso earned a degree in Business Administration from St. Edwards University in Austin, Texas. He joined Arguindegui Oil’s Retail Division, Pump-N-Shop in 1988, where he expanded the retail footprint from seven convenience stores to eleven locations. During his tenure in this capacity, Alfonso earned numerous awards including the DuPont Management Business Scholarship. In 2002, he attended the Minority Business Executive Program at Amos Tuck School of Business Administration at Dartmouth College as part of that scholarship program. Under his keen leadership, the enterprise has acquired over 102 acres of land and leases 6,720 square feet of lease space in Laredo, Encinal, Edinburg, and San Antonio. The Arguindegui family has a rich tradition of community service. They have always been an active member of the communities where they do business. Alfonso Arguindegui has continued that legacy through numerous charitable and educational projects and programs. Through his personal efforts and the company’s financial support, many of Laredo’s non-profits have benefited from the Arguindegui generosity and selfless commitment to others. Alfonso Arguindegui enjoys time with family. He is an ageless athlete, participating in a host of activities such as yoga, cross-fit, and cycling. 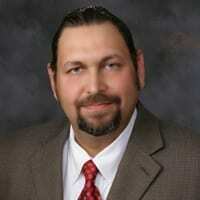 Carlos H. “Charlie” Arguindegui Jr. currently serves as Executive Vice President for Arguindegui Oil Companies. Charlie Jr. manages the day to day operations for the entire wholesale enterprise. Charlie Arguindegui Jr. graduated from San Agustin High School in 1980 and pursued a degree in civil engineering at Texas A&M University. While at Texas A&M, Charlie switched his major to business as a pre-cursor to returning to the family business. Upon returning to Laredo in 1985, Charlie joined Arguindegui Oil Company’s wholesale fuel and lubricant division. Under the direction of his father, Charlie Arguindegui Sr., Charlie Jr. developed the company’s fuel and oil business into an industry leader. Having worked in all facets of the operation from warehousing to loading to dispatch, Charlie Arguindegui Jr. was uniquely positioned to become the Whole Operations Manager in 1995. He quickly added additional products and product lines to bolster their business offering. Charlie Jr. helped the organization evolve into a profitable bulk lubricants distributor. Additionally, as whole operations manager, Charlie expanded Arguindegui Oil Company’s reach and then worked with his cousin, Alfonso, to grow their footprint. Through Charlie’s leadership, Arguindegui Oil moved into the Rio Grande Valley, West Texas, Central Texas, and the Gulf Coast. 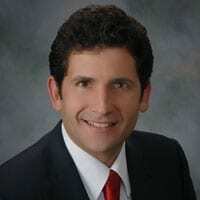 In 2010, Charlie Arguindegui Jr. became Vice President for Arguindegui Companies. His father, Charlie Arguindegui Sr. retired from AOC in 2012. Charlie Arguindegui Jr. succeeded his father as the Executive Vice President for Arguindegui Companies. Charlie Jr’s extensive real world knowledge of the industry has allowed the company to flourish as it ventures into new areas. Since his father’s retirement, Arguindegui Oil Companies has grown into a multi-faceted firm that has a real estate division, building/construction company, and most recently launched an international venture. Active in the industry, Charlie has been a contributor to industry articles in SIGMA’s magazine IGM, Independent Gasoline Marketing as well as local publications. Charlie Arguindegui Jr. has resisted public limelight deferring that role to his cousin and lifelong friend Alfonso Arguindegui. Still, Charlie is very much involved in the Boy’s and Girl’s Club of Laredo. Along with his family and Arguindegui Oil, Charlie plays a significant role in the endowment at TAMIU for STEM students.